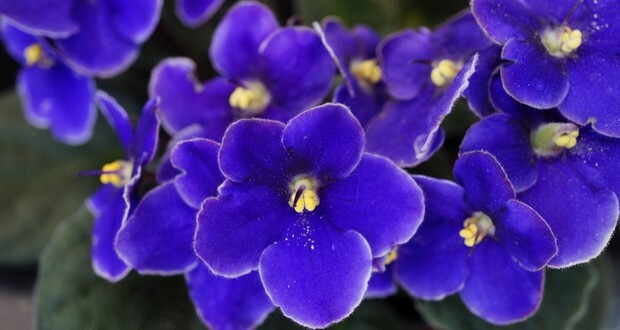 Violets can be smelled for only a few moments at a time because they get their scent from ionone which shuts the smell receptors off after simulating them. After a few breaths the scent pops up again but the brain registers it as a new stimulus. So every time you smell a violet is a first time. 2. In 2012, Russian scientists resurrected a 32,000-year-old extinct Arctic flowering plant (Campion plant) using seeds that were found in the ice age squirrel burrows, which was well preserved by the Siberian permafrost. 3. Red spider lilies are poisonous and were planted near burial sites in Japan to prevent animals from digging up corpses. As a result, the flowers are now associated with death, funerals, and the afterlife. 4. Out of the total 1750 species of cacti that exist, 1749 are native to only the Americas. 5. The World Record for the fastest growing plant belongs to a certain species of bamboo. They have been found to grow up to 35 inches per day at a rate of 0.00002 mph. That’s nearly 1.5 inches an hour. You could literally watch bamboo grow before your eyes. There is a fern that has such a high level of atmospheric carbon sequestration that it caused an ice age. Azolla captures 6 tons of atmospheric carbon per acre per year and could reduce global CO2 levels while providing high protein livestock feed, or nitrogen-rich fertilizer. 7. The enormous circular leaves of Victoria amazonica, which grow to over 2.5 meters across are so buoyant that they can easily support the weight of a small child, and a mature leaf can support 45 kg if the load is evenly distributed. 8. The 'ghost orchid' has no leaves or stem, and is simply a system of roots when it is not flowering. 9. The Stenocereus eruca, also known as “the Wandering Devil” is a cactus that can move 60 cm a year. It grows horizontally, growing at the top and dying at the bottom, moving like a caterpillar. 10. Aconitum is a genus of over 250 flowering plants so poisonous that its toxins were used in arrows and spears to kill wolves, henceforth giving the nickname “Wolfsbane” to many of its members. Gympie Gympie is an Australian shrub that is nicknamed the “Suicide Plant.” Its sting can last years and is so agonizing that people have been known to kill themselves after touching it. 12. Clovers have double the chromosomes of humans. Because of their crazy reproductive habits, it's almost impossible to figure out if four-leafed clovers are genetic traits or caused by the environment. 13. There is tropical flower plant named dumb cane that has been nicknamed “mother-in-law’s tongue.” Its poison can hinder your ability to speak. 14. Some species of bamboo flower only once in decades, and do so simultaneously across the entire planet, regardless of location or climate. 15. Vanilla flowers only open once for 2-3 hours and require hand pollination to produce a bean. Despite its useful properties, the dandelion has grown to be regarded as a weed, as a result of the rise of lawn culture and marketing by pesticide companies. 17. A pitcher plant in Borneo has evolved into a toilet for tree shrews. The plant provides nectar to attract shrews and the shrew's poop in the pitcher, feeding the plant. 18. The dandelion is edible, contains more beta-carotene than a carrot, and exists in the U.S. only because European settlers introduced it as a salad green. 19. Venus flytraps were believed to be an alien species because they seemed to grow in places where meteorites were found. It was thought they had been brought to Earth by meteors. 20. There is a species of orchid that evolved to look like a replica of a monkey's face. It grows in the cloud forests of Peru and Ecuador. The petals of a sunflower are actually each single-petalled flowers. A sunflower is actually a cluster of hundreds of flowers. 22. There is a plant that is able to simultaneously produce both tomatoes and potatoes, cleverly named the "Ketchup 'n' Fries" plant. 23. Nintendo actually bred its own type of flower to market their series "Pikmin". This flower the Chaenostoma cordatum also known as the bacopa cabana is also called the "Pikmin flower" for that reason. 25. There is a plant called Acacia phlebophylla which only grows in one place in the world, Mount Buffalo in Australia. It also happens to be one of the purest natural sources of the psychedelic drug DMT.